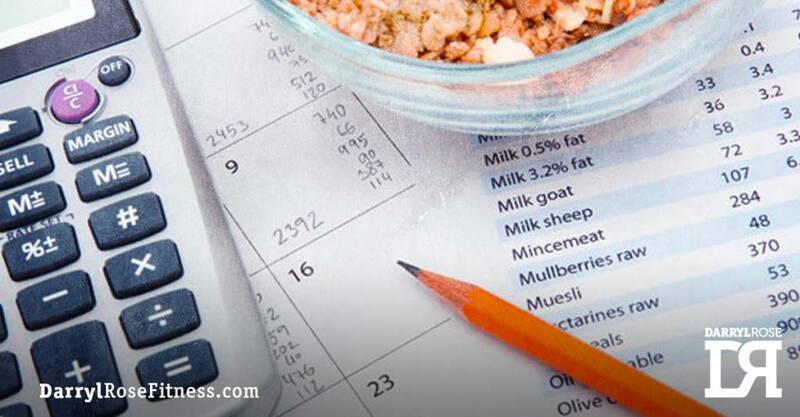 There are various formulas to calculate caloric intake and regardless of whichever you choose they’re more or less the same thing and will give you a similar result + or – 100Kcal or so. That being said I’m not a fan of calorie counting for the majority of people but if you’re on this page then it means that you insist. Over the years I found that most trainees, especially women simply don’t consume enough calories to lose weight. In fact I’ve come across dozens of people who have been on a restricted diet for so long their bodies slowed down so much that they got fat! It’s very important to try to establish a base before you start trying to lose weight. A lot of my clients who were in a caloric deficient before they started training with me found that while trying to get your calories to a base level they actually started to lose weight. If you want to know more on this you’ll have to spend some 1:1 time with me or your strength and conditioning coach to get into the nitty gritty. Find your activity level and multiply those numbers by your goal whether it’s “weight loss” or “weight maintenance”. 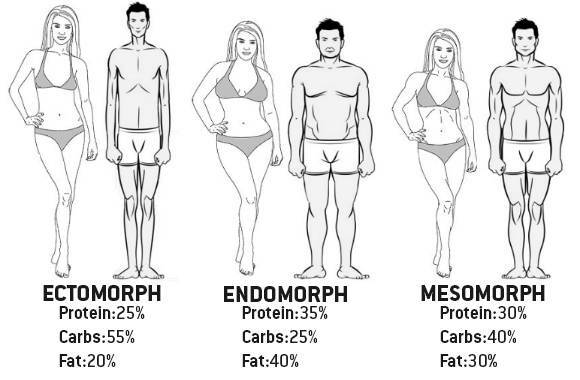 Look at the illustration and find which body type is similar to yours. Based on your activity level and your calories calculated from step 1, multiply your target calories by the percentages from your choice of body type. Convert your Kcal into grams by dividing your numbers from protein and carbs by 4 calories and your number from fat by 9 calories. There you have it, an easy way to find out how many calories you need to consume per day. Keep in mind that this is a very general approach to calculating your daily requirements and several other factors need to be taken into account to get the optimal results. This is where a certified fitness professional such as myself may be of service to you.